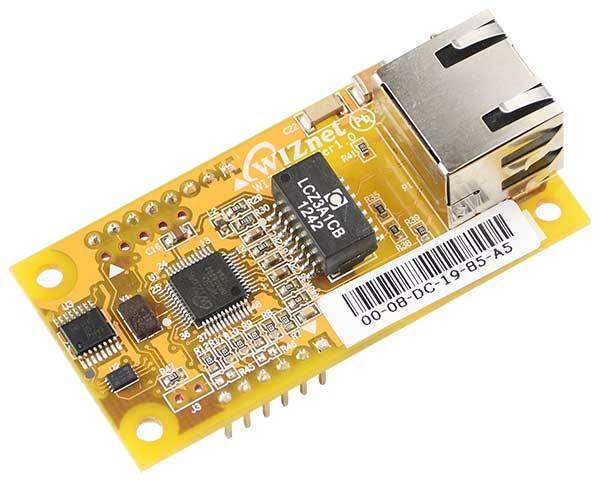 Thank you for your interest in the WIZnet Connect the Magic 2014 Design Challenge and the WIZ550io Ethernet Module. Fill out the form below to request a free WIZnet WIZ550io module. 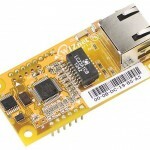 WIZnet has made available a limited number of free WIZ550io Ethernet controller modules for use in the WIZnet 2014 Connect the Magic Design Challenge. To submit a request for one of the free WIZ550io modules, please complete the form below and submit a short project abstract describing your project design. Free module available while supplies last. Quantities are limited. Limit one free WIZ550io Ethernet controller module per person. Please review the following information carefully. WIZnet WIZ550io auto configurable Ethernet controller module with a W5500, RJ-45, and transformer. By completing the form and submitting your request for a complimentary WIZnet WIZ55io Ethernet Module, you agree that the below information may be used by WIZnet Co., Ltd. (“WIZnet”), Circuit Cellar/Elektor, and Challenge partners to send further contest and product-related information to you. You also understand and agree that by requesting the WIZ55io Ethernet Module, you are solely responsible for paying any applicable taxes and customs duties when you receive it. WIZnet and Circuit Cellar/Elektor will make all reasonable efforts to ensure delivery of WIZ550io Ethernet Module, but delivery is not guaranteed. Tracking information will not be provided. WIZnet and Circuit Cellar/Elektor reserve the right to reject individual sample requests, in their sole discretion for any or no reason. This sample offer is void where prohibited by law. Samples have no cash value other than as offered and cannot be redeemed for cash or credit. WIZnet retains the right to limit quantities of samples distributed or change the criteria for sample requests at any time. Participants agree to release and hold harmless Circuit Cellar, Elektor, WIZnet, and each of their respective parent companies, affiliates, subsidiaries, officers, directors, representatives, agents, and employees, from any and all liability whatsoever for any injuries, losses, or damages of any kind arising from or in connection with, either directly or indirectly, the delivery, supply, use of or any defects in the complimentary WIZ550io Ethernet module provided to eligible Participants. The “form confirmation” screen indicates that your request has been submitted. All requests will be reviewed by the Sponsor Screening Committee to ensure compliance with Federal Export Laws and Regulations. Additionally, abstracts that focus on ’Net-enabled project design will be considered a higher eligibility for receiving a WIZ550io Ethernet Module. Allow a minimum of one week for kit requests to be reviewed and approved. Participants will receive notification via e-mail once the request has been approved or denied. Upon approval, allow 4–8 weeks for delivery. Before proceeding, Participants must read and agree to the Terms and Conditions stated in the Export Agreement (see below). 1. I shall not directly or indirectly export, re-export or transship products, technology or software in any form received by me pursuant to this Contest Challenge, including any samples (collectively, “Software”), in violation of any applicable export control law or regulation of the United States or any other country having jurisdiction over the Parties or me, WIZnet Co., Ltd. and Circuit Cellar/Elektor or the transactions hereunder. 2. This Software will only be used for purposes of submitting an entry for the Contest, and will not be rented, leased, sold, sublicensed, assigned, or otherwise transferred. 3. Without a U.S. Bureau of Export Administration License or License Exception, I will not transfer or export any product, process, or service that is the direct product of the Software other than my Contest entry. 4. The Software and any direct product will not be applied in the design, development, production, stockpiling or use of weapons of mass destruction, such as nuclear, chemical or biological weapons, nor missiles to deliver any such weapons, nor for any use supporting these weapons activities.